The knurled ring looks a bit of an oddity. I had one back in the 50s. 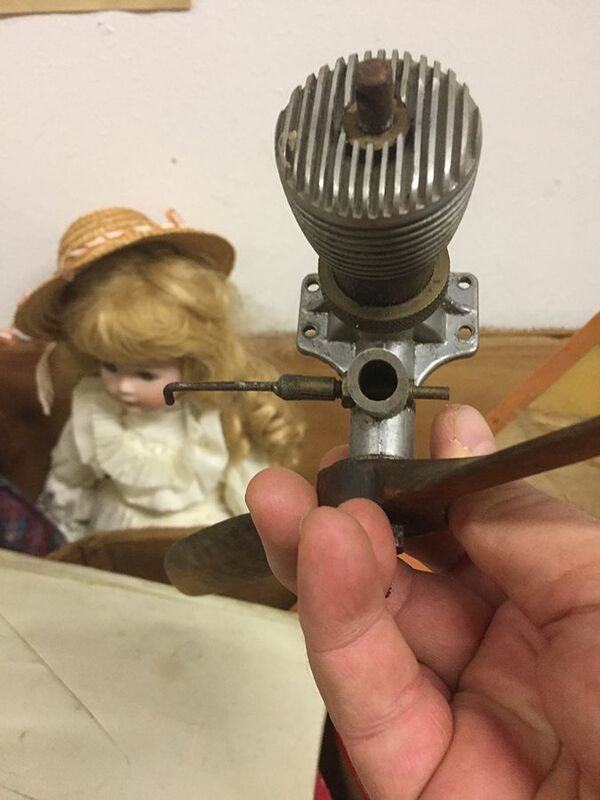 Never could get it to run or even fire. There ain't half some knowledgeable people around here! Thanks, ED. The knurled ring looks a bit of an oddity." Yeah, never seen one of those. Perhaps the cylinder needed regular changing? Percy, it looks like S/N 731 to me. Test from AM Jan 1949 - here. 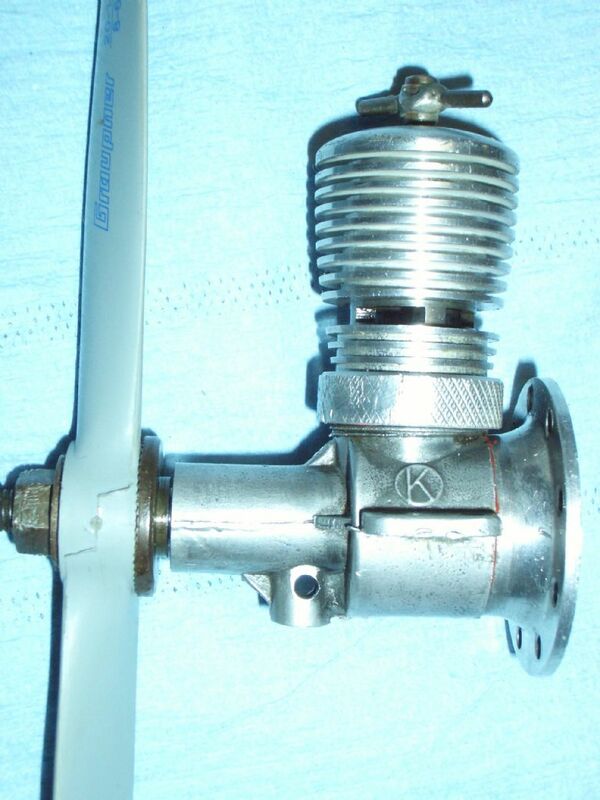 Note that the engine, when new, would have been supplied complete with a glowplug conversion head. Two sold on EBay last November, £150 and £160 each! I gave away a 2cc Kay Kestrel a few years ago . 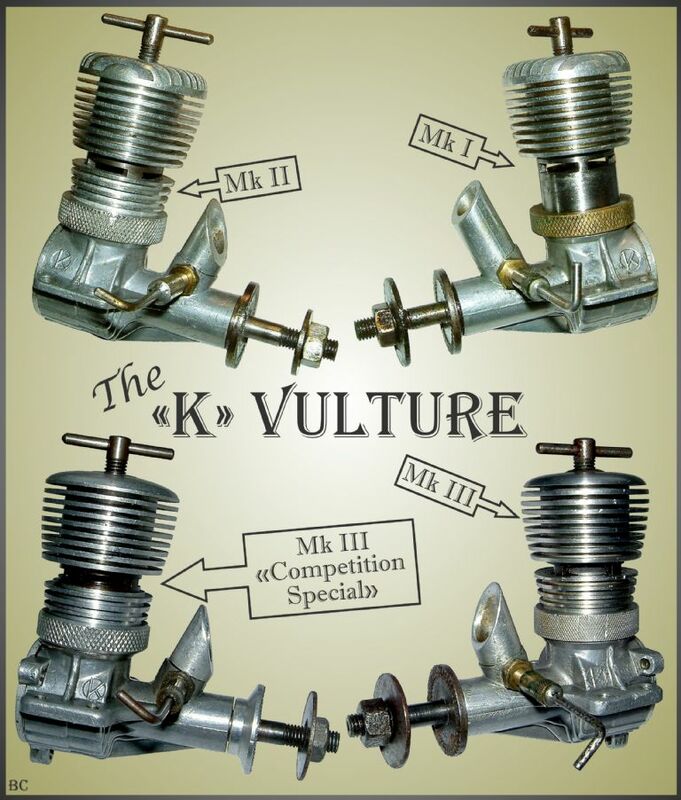 Here are all the diesel K Vultures. The knurled ring /nut was a feature of their early series of Kemp engines. They later changed their name to "K" engineering . The earlier series of side port engines looked really old design , a bit "Wallace and Grommet" were made of magnesium and turned black with age. No they didn't need the cylinder changing that often. These early one fetch really good money . Don't forget that back then the design of engines was rapidly changing and what seems a bit naff now was cutting edge back then . 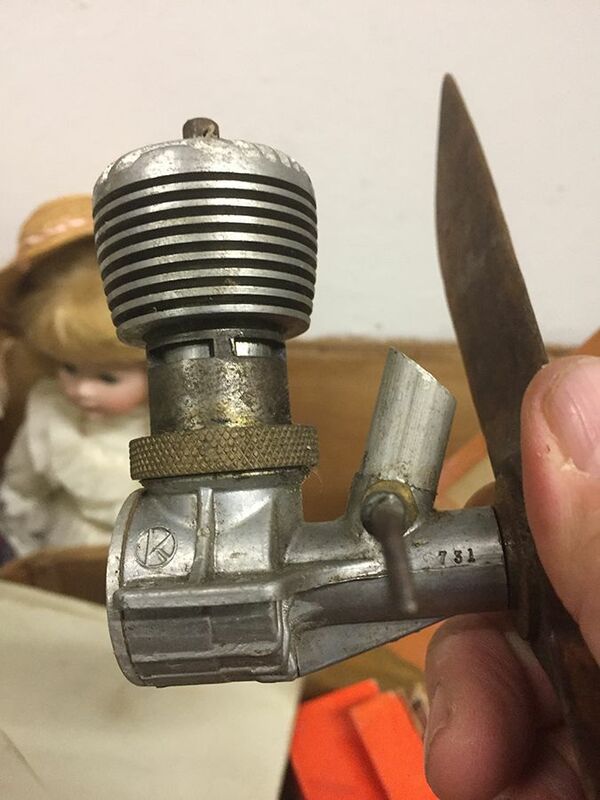 All Forum Topics > General Vintage R/C Chatter > Ancient Engine ID?